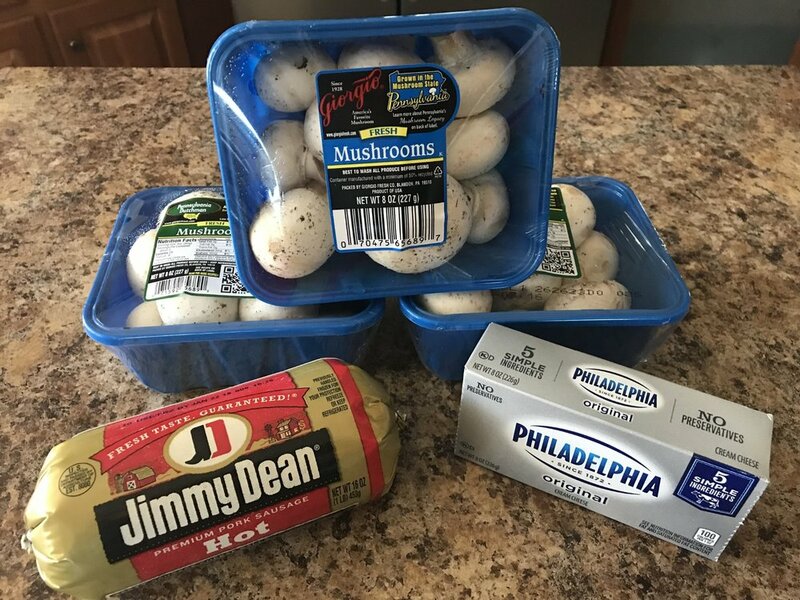 This simple and delicious stuffed mushroom recipe wows every crowd. Perfect for that potluck meeting, Super Bowl snacks, or work place break room. 1 Lb of sausage. I prefer the spicy for a kick, but regular is delicious too. Place the cream cheese in a large mixing bowl to come to room temperature. 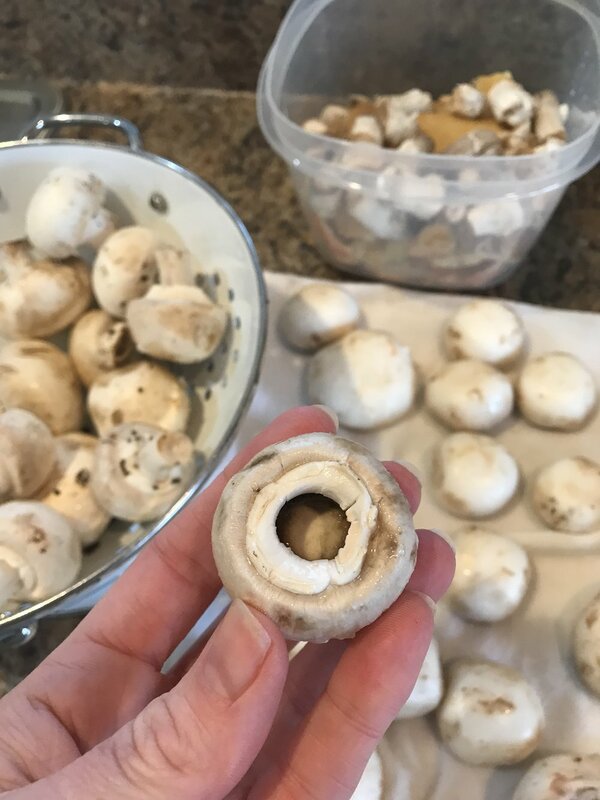 Remove the stems from the mushrooms (set aside to use in another dish, a salad, or feed to the chickens like we do!) and wash. Lay them open side down on a tea (or paper) towel to dry. 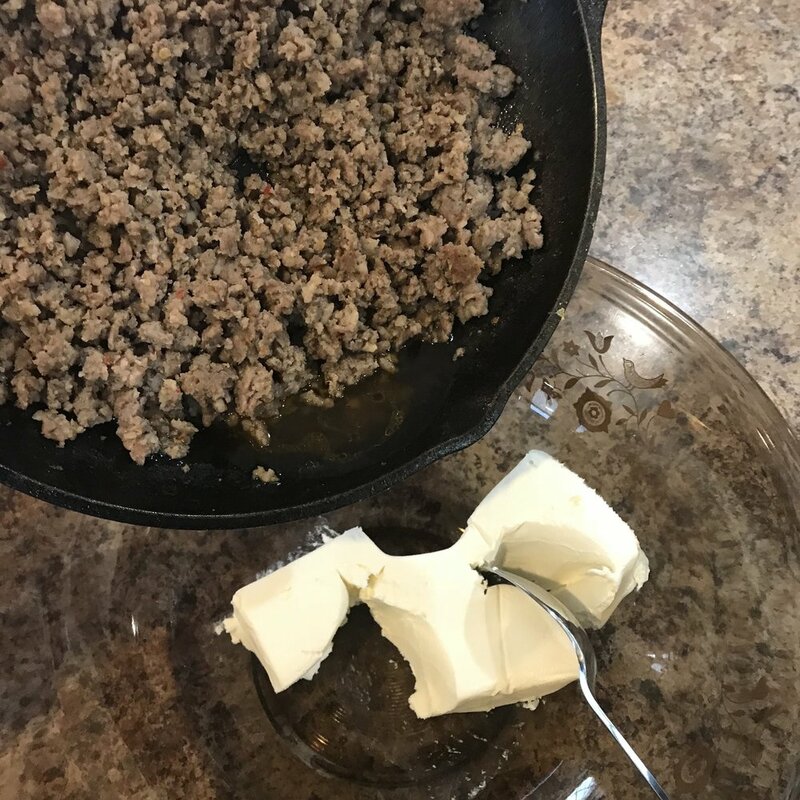 Brown the sausage and pour over the cream cheese. Doing this while the sausage is hot makes the mixing easier. I don't drain the grease so if you do, I'm not sure how it will affect the mixture. Mix until smooth. 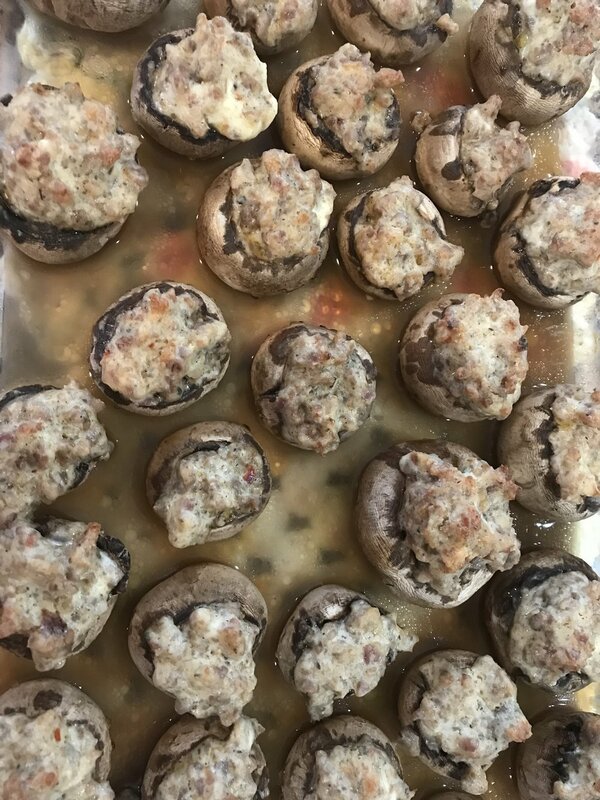 Place dry mushrooms in a baking dish and spoon stuffing mixture into mushrooms. "Stuff" them full to overflowing to maximize tastiness! 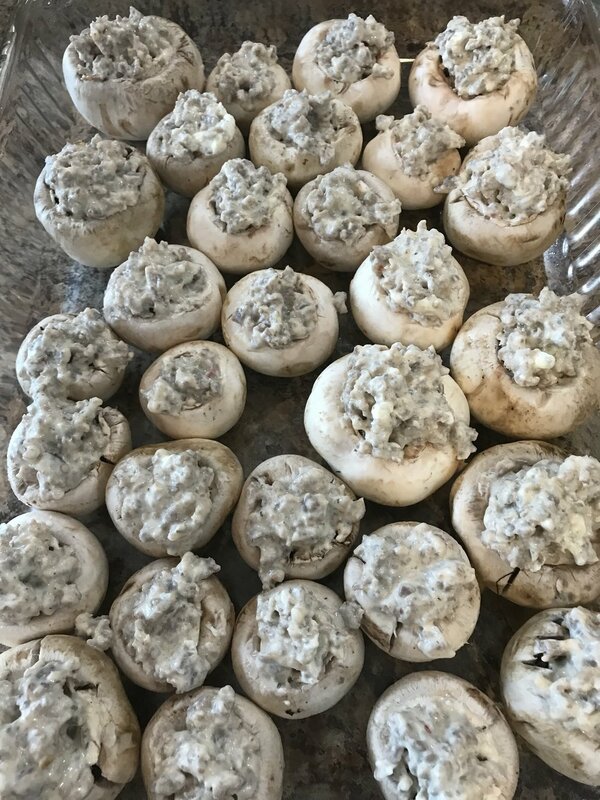 Bake in a preheated oven at 350 for about 20-30 minutes, or until mushrooms are brown and juices are flowing. Serve hot and watch for satisfied expressions from your guests! I hope you enjoy this tasty morsel!